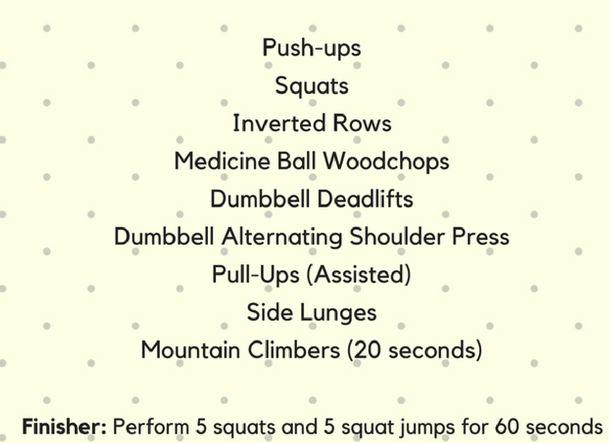 In this workout from the Health & Wellness Coach team, perform 12 reps for each move, 2 rounds. Perform the mountain climbers for 20 seconds. Remember to perform a dynamic warm-up and then stretch and cool down at the end.